Circa 1882. 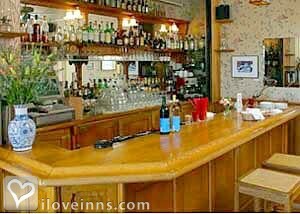 Choose from a variety of accommodations with ocean views and upscale amenities at this Mendocino inn on the coast of northern California. Winner of the iLoveInns.com Top 10 Romantic Inns of 2009, MacCallum House was built in 1882 and includes a renowned restaurant situated in the sun porch, library and dining rooms of this vintage Victorian. The menus showcase regional organic products and a gourmet breakfast is included in your room fee. Surrounding the main house, cottages feature wood stoves and decks, some with private hot tubs. 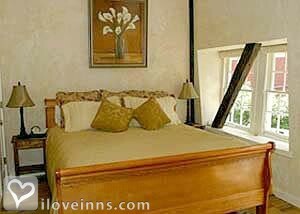 The original barn was restored and boasts river stone fireplaces in each guest bedroom. Properties also include the MacCallum Suites, a luxury mansion on two hilltop acres and the Mendocino Village Inn, an historic three-story 1882 mansion. Massage and Spa services are available, as well as limousine tours of Anderson Valley wine country. Payment Types Accepted Include Discover, Master Card, American Express, Travelers Checks and Visa. This property has 30 total guest accommodations with private bath, 20 with fireplaces, 9 with hot tubs, 16 with whirlpools, 13 total suites, including 2 two-bedroom suites, 7 cottages and 1 conference room. The types of beds available include Double, King and Queen. Complimentary passes to the Redwood Health Club. Everything about the MacCallum House is romantic from sleigh beds, clawfoot tubs for two, wood-burning fireplaces, private outdoor hot tubs to outstanding organic regional cuisine. The main property has two acres of beautifully landscaped grounds. Two-days required on weekends for the most part, although single night stays are sometimes available. The dates this property will honor the certificate are November-April, Sunday-Thursday, non holiday. Just wanted to say that the rooms and service are very nice. 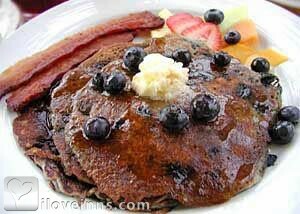 We spend most of our time outside though as anyone in Mendocino should... the food is incredible, especially the breakfast. Impressed to Say the Least! I have stayed at various bed and breakfast resorts. MacCallum House is a remarkable resort. Words cannot say enough for the staff or the uniqueness of the place. It is definitely one of a kind that is truly a gem. I Love Inns introduced us to MacCallum House Inn and Restaurant. What a find! 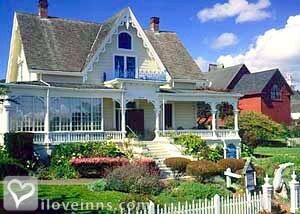 From the moment we saw the front of the Old Victorian, explored the expansive colorful gardens filled with roses, Calla Lilies, Sweet William and California poppies, and crossed the wrap around porch heading for the check-in office, we were delighted. Chantal extended a warm welcome, gave us our keys, surprised us with tokens for $7 each discount on restaurant items purchased that evening, and shared ideas for area activities, including the amazing �Glass Beach� in nearby Fort Bragg. Our spacious, comfortable and beautifully decorated �Barn� room and bath included our very own fireplace with plenty of wood, Jacuzzi tub, sauna, private outdoor Jacuzzi. Once in our room, I examined the informative book of menus, shop listings, and places of interest, reminding me that Mendocino is home to many musicians, artists, writers, actors, and healing arts practitioners. I quickly decided to visit Francis Casey�s button jewelry shop. Since I am a collector of old buttons. The restaurant fare is beyond belief! I still remember the exquisite tastes of a tasty Beet salad followed by cannelloni stuffed with butternut squash. Breakfast included a choice of many entrees, beverages and pastries. Yum! We also want to mention MacCallum House�s excellent web site. It�s inviting, informative, and easy to navigate. 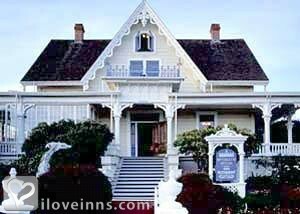 We loved our stay at MacCallum House Inn and Restaurant in Mendocino, and suggest that if you are looking for peace, tranquility, quality and excellence, you book a reservation soon. A wonderful relaxing stay. This was our first time in 'the House' � we've stayed before in the Gazebo. This has been a more pampered and luxurious visit for us� Echoing earlier guests, the breakfast is a great and will last you through the day (no lunch necessary for us). Dinner at MacCallum House was extraordinary in all respects. The view of the ocean out the window would have been enough � even in the rain. The feelings from the room � peace, calm, overwhelming beauty � are, I hope lingering ones. Leaving today. Stayed 3 nights and had a heavenly time. Point Cabrillo Light House and surrounding landscape was beautiful. Sunset last night on the point was very romantic and we should not miss it again on our return. The inn is wonderful and staff friendly. Enjoyed chatting with other guests in the sitting room. Food here is great! The restaurant should not be missed. Moose was fabulous also. The beach and the hike around the point are things we will do next time. We've vowed to return. We're rested and ready to move on to the next leg of our journey. After discovering this hidden treasure, we always seem to find ourselves back at the MacCallum House Inn. It seems to be our little hide-away from the city. On our first trip to Mendocino together (back in February) we met some of greatest locals. The staff at the inn are always pleasant. This whole town and the people of Mendocino has taken my breath away! We've had the opportunity to stay at a couple of different rooms and I'd have to say everyone should reserve a night at the water tower. It's breath-takingly beautiful! Overall, each room has a story to tell or a memory to be added to their own story book. I fall in love with this place everytime we step foot in it. It was definitely a little taste of heaven. It doesn't get any better! Whales spouting off the headlands, rhododendrons in bloom, morning coffee on a sunny sheltered deck. The combination of spectacular scenery along with the friendly and warm staff, very comfortable accommodations and delicious food at the MacCallum House Restaurant make a winning formula. Can�t say enough about the accommodations. Everything is geared to please the eye, the body and the soul. We feel so lucky. We stopped here by chance. 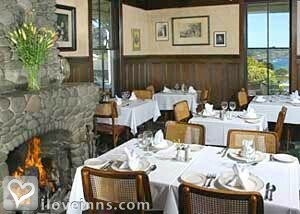 We just love the room and had a fantastic filet mignon dinner at the MacCallum House Restaurant. Hello Daisy, Donald and other previous occupants of this fine house!! The transformation of the attic suite would astound you to no end! The private view is like that of a nesting bird, protected from the harsh elements. To celebrate our common birthday, my friend and I met in this awesome "apartment" far neater than my old house on Little Lake Road some ten years ago. Above the rest we rest, and the dining downstairs is far above the rest. Thank you MacCallums you are the best. 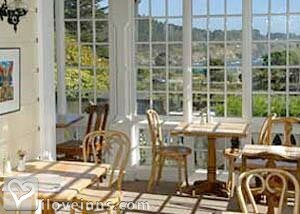 We had a wonderful time in Mendocino, the property is so beautiful and the breakfast was exceptional. One person who stands out is the young girl who was our waitress during the breakfast hours. She was so pleasant and had such a wonderful personality. All in all we had a wonderful honeymoon and intend on coming back to stay in the near future. Thank you for making our honeymoon stay one we will remember for years to come. What a great, mellow, cozy start to the New Year! While the MacCallum House's appointments are stellar, it's the staff and owners that give the inn its warm, home-from-home atmosphere. Thanks all round to Joseph, Stephanie, Jed, Megan � and all the others we didn't meet whose unseen hands built the crackling fires, whipped the hollandaise, changed the sheets, and trimmed the immaculate grounds. We enjoyed our 3-day stay so much we're planning to make it a New Year's tradition!! 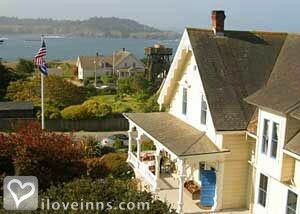 This was our first stay in Mendocino at this inn. The MacCallum House is beautiful in every way � from its history, to the cuisine, to the accommodations and of course to the warmth of the people and service. The Gazebo Playhouse though small as it is, is cozy and rustic�the details are wonderful and dining in made it even better. Nothing better than awaking every morning to beautiful gardens speckled with comfy adirondack chairs and four legged buddies. That is the other wonderful characteristic, bring your pets. You can walk your dogs everywhere. In and out of shops, selected restaurants and of course the beach down below, where we let our dogs (Duke and Lexi) run off leash. You can't possibly want for anything when the best of both worlds are at your beckoning. Enjoy your stay. J., K., D. and L.
We have just returned from our vacation to San Francisco and the wine country area. Everything was great, Napa, Sonoma and San Francisco but the highlight of our trip was staying at MacCallum house in Mendocino. Both the food and lodging were great and we both look forward to a return visit. This was the perfect weekend getaway. We had such a fabulous time staying at the MacCallum House. It so nice to get away from the City and experience something so pleasant and calming. The people in this town as well as the visitors are truly good people. Everywhere we went we had excellent service and were greeted by so many friendly people. Hopefully we will be back soon. This is definitely a place we will mark on our map as a successful vacation spot. We are off to do some wine tasting on the way home. Don't forget to enjoy your evening in the hot tub looking at the stars. Staying in the Water Tower was one of those lifetime memory experiences! 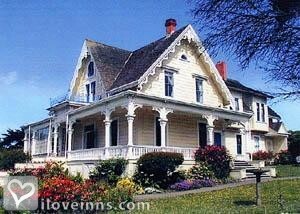 We were so pampered, we will never be able to stay anywhere else in Mendocino. My teenage daughter and I enjoyed the "mini-spa". The kids enjoyed their 3rd floor hideaway and access to DVDs and the Internet. The staff couldn't have been nicer to all of us. The food here is hard to beat, from the decadent gourmet breakfasts to the phenomenal dinners near the fireplace. Shopping, biking, eating, wine tasting � fantastic accommodations. Just entering this beautiful and peaceful place. I could feel my body and mind being in tune with what this place has to offer. Everyone treats you as if you are their only guest, which was wonderful. My room has something different to talk about. I just love it. Everything was so well organized and nicely arranged. It just takes my breath away. This place brings such tranquility that I forget about the outside world and just live and breath each moment. I love it. M J.
Hello to all who stay in room 19. 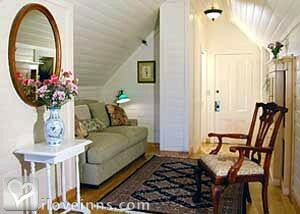 This room is the best part of Mendocino! Making a fire at night and early morning. Watching the sun go down on the balcony and eating chocolate. How much better can life get?! The shops here are unique, the paths close to the cliffs are beautiful and the overall atmosphere is very quiet and relaxing. This is a wonderful place to rejuvenate. Enjoy your stay. K. and L.
Mendocino reminds us of a faraway place that time has forgotten. The view from our room is great. We loved looking out at the ocean every morning. It doesn�t get any better than this. Awesome weather on this amazing coast, the best room in town and three perfect days. We especially enjoyed the early morning sunrise which we could relish from bed, watching the sky change and seeing the mist move out to sea � wonderful! *** WARNING *** UNSAFE*** PEEPING TOM INCIDENT*** I stayed here to celebrate my 5 year anniversary. We drove 4.5 HRS because of the great reviews. On our second night we stayed in Room #8 which is right next to the house and has a "private patio" with hot tub. At around 8pm, my husband was just getting out of the shower, HE NOTICED A SILHOUETTE AT THE WINDOW, which was about 1 ft away from me as I was laying on the bed, as he looked closer he noticed it was A MAN LOOKIN IN ON US, right up against the window!!!! When he saw my husband he ran off. We called the front desk and they came down, and assured us no one could get into the patio but as we looked around we notice at one corner there was a space where not only was the FENCE LOWER, but there WAS A GAP where someone could EASILY GET IN AND OUT, not to mention it LEADS RIGHT OUT TO THE STREET. Needless to say our trip was ruined, we were moved into a different room in the house which was noisy and didn't get any sleep not only because of the noise but because we felt UNSAFE. IT WAS THE WORST FEELING. The next morning there were more reports of a peeping tom in the neighborhood. There is no sheriff in town, we were told he would come in a couple of days to get a statement. That leads me to believe NO ONE CAME IN TO TOWN TO CHECK IT OUT. The general manager offered us $46 credit, mind you it costs $230 p/night and we never heard from him again. I FELT BRUSHED OFF, DISSAPPOINTED, VIOLATED, ANGRY. NO ONE CARED. THEY ACTED AS IF IT WAS NO BIG DEAL AND THEY WERE DOING US A FAVOR. After talking to some of the shop owners they agreed more should have been done by the MacCallum House. NO ONE HAS BEEN CAUGHT SO HE IS STILL AT LARGE. A COUPLE OF PEOPLE SUGGESTED IT MUST BE SOMEONE WHO WORKED THERE, TO KNOW THE PROPERTY SO WELL. I have tried to contact the owners and manager and the only one who bothered to return a call was the receptionist who said she would relay the message, but TWO WEEKS later no response from ANYONE. I WILL NEVER GO BACK. I AM JUST THANKFUL MY HUSBAND SCARED HIM OFF, WHO KNOWS WHAT COULD HAVE HAPPENED, HAD I BEEN ALONE, NOT TO MENTION I HAD SUCH A SENSE OF SAFETY THAT THE WINDOW THE MAN WAS AT, LEADING TO THE "PRIVATE PATIO" WAS UNLOCKED. I WOULD URGE ANYONE THINKING OF STAYING HERE, NOT TO. THERE IS SOMEONE ROAMING THAT TOWN SPYING ON PEOPLE DURING THEIR ROMANTIC GETAWAY, ETC WHO KNOWS THE PROPERTY AND KNOWS HE CAN GET AWAY WITH IT ESPECIALLY SINCE THE OWNERS AND MANAGERS DON'T SEEM TO CARE. PEEPING TOMS BEGIN BY LOOKING IN, UNTIL LOOKING NOT ENOUGH AND THEN, TRAGEDY. 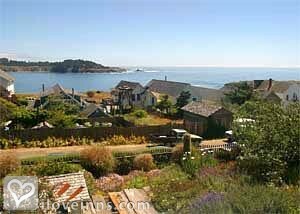 Wine Spectator, Chocolatier, Wine X, Wine Enthusiast, Coastal Living, California Visitors Review.